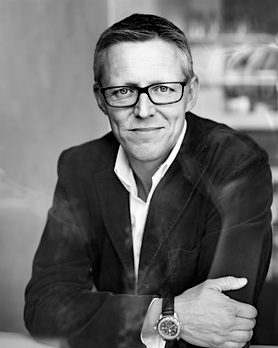 Fredrik T. Olsson is an international bestselling author. His first novel, Chain of Events, was published in over 25 countries. In addition to being a novelist, he is a full-time screenwriter for film and television in Sweden, working in genres from sitcoms to thrillers. He has also had stints as a director and a standup comedian. Stay Thirsty Magazine was delighted to visit with Fredrik T. Olsson at his home in Stockholm for these Five Questions about his latest book, Acts of Vanishing, his ideas on writing and the career that best represents his soul. 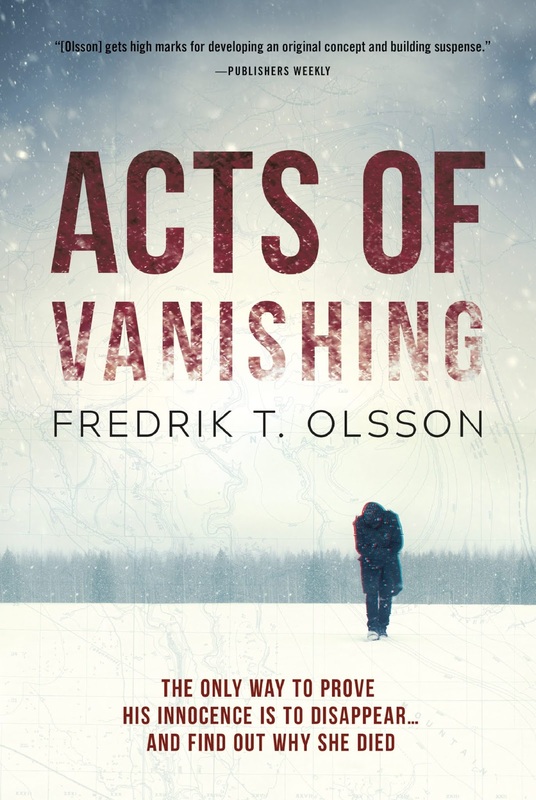 STAY THIRSTY: Your second novel, Acts of Vanishing, takes place in your home country of Sweden where you have worked as an actor, a screenwriter and a comedian. What is it about Swedish culture and sensibilities that you believe resonates with readers around the world? FREDRIK T. OLSSON: I was about to say I wish I knew the answer to that one. But the truth is I’m actually quite happy I don’t. Every time you read about Scandinavian literature or Nordic Noir, there seems to be a focus on its inherent darkness and gloom. Personally, I have a hard time relating to that. Do I consider myself dark and gloomy? Nope. Of course, I could be wrong – I’m sure dark and gloomy people don’t go around considering themselves that – and perhaps there is some subconscious, collective personality that we all share up here, constantly seeping through into our stories. If so, I blame chill, darkness, and repeatedly having to endure November through March. But the important thing still is that even if that is the case, it’s nothing I think very much about. At the risk of sounding pretentious, I think the only thing a writer can do not to go crazy – and trust me, there are enough reasons to as it is – is to listen to their own instincts, and tell the stories that make them tick. If you start spending time thinking about what you’re expected to sound like, that will only steer you away from your own idea of what you wanted to tell and how. That’s not to say anything about the quality of the final story, of course, more about surviving the process; if I knew some secret recipe for what readers want, and started writing towards someone else’s expectations, it would paralyze me every time I had to make a choice. Ultimately, I would just be trying to mimic myself, the way I thought others expected me to be. Which would be quite awful to everyone involved. Anyway. All of this is a long-winding way to say that the answer is probably just a happy but coincidental match, and that if there is indeed a specific Swedish mindset, then hopefully the choices we subconsciously make will translate to foreign readers’ mindsets too. Deep down, I think it all is just about the fact that emotions are universal. STAY THIRSTY: What three things do you want readers of Acts of Vanishing to take away from your book? FREDRIK T. OLSSON: Three seems about right. Wouldn’t want anyone to take away more, would we? Seriously though, first and foremost, I hope people will read it and have a good time. It is a cliché, but I grew up watching matinées and reading adventures, so to me that’s the foundation of any storytelling: Having fun, experiencing a ride, forgetting to get off at the right bus stop just because you’re busy getting to the next page. I sometimes think we give too little credit to stories for how they succeed in keeping us entertained, and spend just a little too much time dwelling on analyzing their deeper meaning. Whatever happened to reading with a flashlight under a blanket? Just because it’s fun? That being said, Acts of Vanishing is also a book about technology and what it does to us. How we mindlessly seem to be rushing into a new era of technology without realizing how vulnerable it makes us. Pull out the right plug, and there’s no electricity, no money, no communications. On the other hand: Keep the plug in, and who knows who’s watching you. Things have just escalated to the point where I think we all assume that someone else has control over where things are going. But have they? So, that’s a big part of my book. On top of that, I would say at its core Acts of Vanishing is a book about loneliness and trying to find out who you really are. But if you ask me, none of that mean very much if you don’t have fun reading it. STAY THIRSTY: With Sweden as you birthplace and home, do you find yourself thinking in Swedish even though you are writing novels in English? Does being multi-lingual ever pose a problem for you as a writer? FREDRIK T. OLSSON: While I do write a lot of stuff directly in English, most of that happens in my other line of work – from television pitches and sales material to actual scripts. When it comes to my books, both of my novels were initially written in Swedish and then translated – not by me, but with people more suited to do so. After all, English is my second language, which means my inner processor will unavoidably become a lot hotter from trying to produce the right word at the right time, than when I work directly in Swedish. So yes, it probably takes a little more time, plus there will be more grammatical errors when I’m ready. I’m sure you may already have noticed. Unfortunately, another side effect of working in two languages isn’t that you’re getting better at both, but rather the opposite. When I write in Swedish, all too often I find myself staring at that perfect English word that I’m sure has no Swedish synonym, only to open the dictionary and find an entire bunch. Those are moments when I loathe myself intensely. Which, perhaps, proves that there is a Swedishly dark and gloomy side to me, after all. STAY THIRSTY: Are the techniques of storytelling and story structure different for you when writing comedies vs. thrillers? Novels vs. screenplays? FREDRIK T. OLSSON: Growing up, I always pictured my future self as a comedic actor. I was the self-proclaimed class clown, I lured schoolmates into becoming co-actors and musicians in my theatre groups, and my first professional gigs were writing jokes for television and developing sitcoms. So for me, I would say everything I know about writing comes from the love of hearing people laugh. I can’t say of course that this is a general rule, but to me, comedy was the best imaginable school for learning to write thrillers. I like to say that suspense is comedy without jokes – meaning that both genres are extremely dependent on rhythm, pacing, and, not least, withholding information. For either genre to work you have to balance setup and payoff, unpredictability and yet the sense of unavoidability, and what you choose to give away and save as a surprise. And you need to find the exact right timing for when and how to show what it is you’re hiding up your sleeve. So I would absolutely argue that the tools are very similar, and I honestly think that the better your comedic skills, the better your ability to tell exciting, non-comedic stories too. You just don’t have to bend over backwards to create jokes all the time. So in a way, it’s also much more fun to do. STAY THIRSTY: At heart, are you more a novelist, a screenwriter, an actor or a stand-up comedian? In which genre do you feel you do your best work? FREDRIK T. OLSSON: First of all, ask me tomorrow and you’ll probably get another answer. I don’t really see myself as just one of those things. Or, perhaps, not even as either. Again, I grew up confident that I would become an actor, and today, acting is what I do the least. I guess that’s also how the standup thing was born; it became a way to channel that side of me. With the writing, that too probably came out of my urge to perform. Realizing early on that you can’t expect there to be an audience around you most of the time day, I had to find a way to tell stories and save them for later. Thus, on my tenth birthday, I wished for a typewriter. I don’t know if that was me taking the first step towards a career as a writer, or if it was just my first step towards giving up my acting. Anyway. It’s hard for me to identify as one or the other. I don’t really think those lines are drawn by yourself. And especially when it comes to different kinds of writing, the processes are so similar that giving yourself a certain title doesn’t make much sense. Then again, whatever it is you do at the moment, you constantly find yourself glancing at the other things. It’s probably partly a case of the grass being greener on the other side of the fence. And partly a case of refusing to grow up and becoming something for real. Actually, coming to think of it. If you do ask me tomorrow, that’s probably exactly what I’m going to be answering then as well.